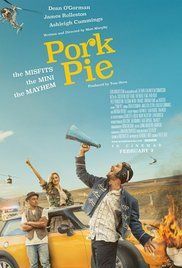 Pork Pie is a 2017 comedy road movie written and directed by New Zealander Matt Murphy and produced by Tom Hern. The film is a remake of 1981 movie Goodbye Pork Pie, the first New Zealand film to win a substantial local audience. The remake stars Dean O'Gorman, James Rolleston and Ashleigh Cummings as a trio of accidental outlaws who travel the length of New Zealand in a stolen yellow New Mini. The film was scored by Jonathan Crayford. Read more on Wikipedia.